Communication is so vital to building a strong and healthy relationship with your family. It is especially the case with our children, whether they are toddlers all the way to kids being in their late teens. Our experts in child counseling in Houston often sees communication breakdowns as one of the top reasons for relationship breakdowns. Breakdowns in communication can ultimately cause significant obstacles later on for our children that they can carry into adulthood. There are ways to help nurture our family to develop better communication skills as the parent or primary caretaker. We can help our family navigate through the often difficult situations that challenge us as a family unit. To facilitate healthy relationships, avoid significant conflicts, and create authentic communication, here are our top 8 tips recommended by our child counseling experts. As life becomes faster paced with our growing schedules and the increased use of technologies, family meals and family time during dinner is often neglected. Instead of allowing your schedule and list of activities to dictate the time you spend with your children, our experts at the child counseling center in Houston recommend that you become intentional about scheduling meal times together. We suggest that you allow talk during meals least three times a week with no distractions so you can focus on the helping your kids become the confident individuals they can be. It is easy to create certain habits when we are living out our day-to-day activities, such as being on our phones while we are at a restaurant or listening to the radio when we are in the car. To open up the lines of communication with your children, our therapists in child counseling suggest that you create opportunities often to have good conversations with your kids while you are out and about. Communicating with your children doesn’t necessarily mean having to sit down with them to chat eye-to-eye. It could be something as simple as turning off the music on your drive to soccer practice and talking about your day, or starting a conversation while you are preparing meals together. Involve your kids in what you do so that you can create opportunities often that will eventually turn into a communication habit. As we may or may not know, according to our child counseling experts, modeling what we want to see in our children is the best way to get them to what we want them to do. When it comes to teaching kids about effective communication skills, it is essential to demonstrate the type of behaviors to be a strong communicator. Show your kids how to take turns in a conversation, as well as how to actively listen, make eye contact, and use proper body language. By doing these things, your child will learn to want to communicate with you to better themselves in an area that you find to be important because you are doing what you say, instead of just telling them what to do. The best way to communicate with your children is to learn to listen to them with an open mind that is wrapped up in respect. Our sessions for child counseling often see parents and children in conflict over power struggles that is discouraging and judgemental. If we want our children to feel safe to tell us about their struggles, as well as their triumphs, it is essential to pay attention to their words, and to watch for their tone and body language. Commit to being an open book to share relatable experiences that will build trust for them to want to open up to you and you will find yourself having a thriving and growing relationship with your child. While we have other stressors in life that can keep us from being open to taking on our children’s struggles and challenges, it is essential to growing our capacity in this area. When you learn to respond to your child’s emotions when they communicate it with you, it builds trust and a bond that will stay with them in being open with you. Educate yourself in being empathetic to the pressures they may be facing. 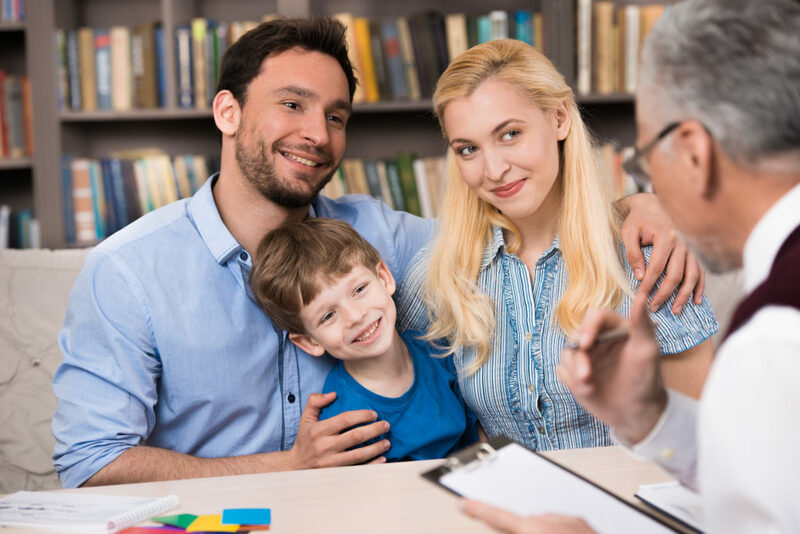 Our child counseling experts can confirm that your ability to connect and relate to your child while being empathetic will help further your communications with them long term. As a result of the above suggestion, you can model how to understand emotions, which helps you and your children communicate much more effectively in the long run. Being emotionally literate will help your young children become more expressive about their emotions, as well as being more understanding of others’ emotional states. One of our main strategies for child counseling is to encourage the learning and understanding of emotions. A part of being open with your kids is to be real and authentic when you are communicating with them. If you made a mistake, it is essential to share with them that mom and dad make mistakes just like they do. Authenticity creates and builds more trust, according to our child counseling experts in Houston. When you talk about yourself openly about your day or the experiences you had that day, it opens up the floor to your child to talk about themselves and what they are excited about from their day. When you have multiple kids, this can be challenging as all of your kids will be fighting for your full attention. However, if you could intentionally carve out time for each child, you will find that your communication skills and dynamics will dramatically change. Our child counseling services have seen how children will open up when they are taken out of a group environment and given your focused attention. If you are having challenges in building a communicative relationship with your kids, it’s never too late to start, and it’s never too early to begin either. Want to learn more? Why not contact us at the Grief Recovery Center for more info today.